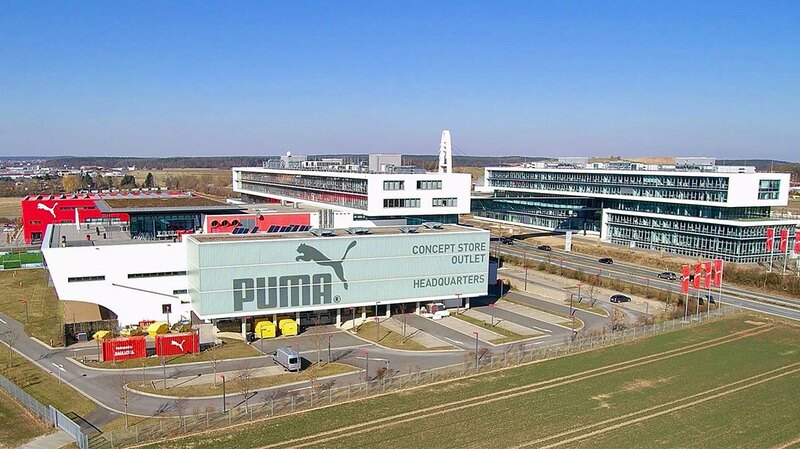 Our new office building at the Herzogenaurach headquarters has been in use for almost six months by now. 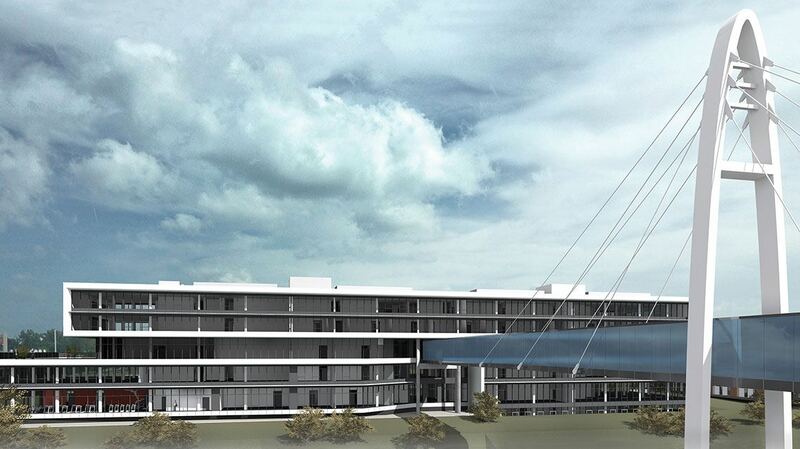 Little by little, its older twin across the road will also be upgraded to the standards of the new building. The canteen is next in line in getting a makeover. The canteen will be closed from November 2018 to March 2019 and will change completely. Not only the look of the canteen will change but also the concept behind it. 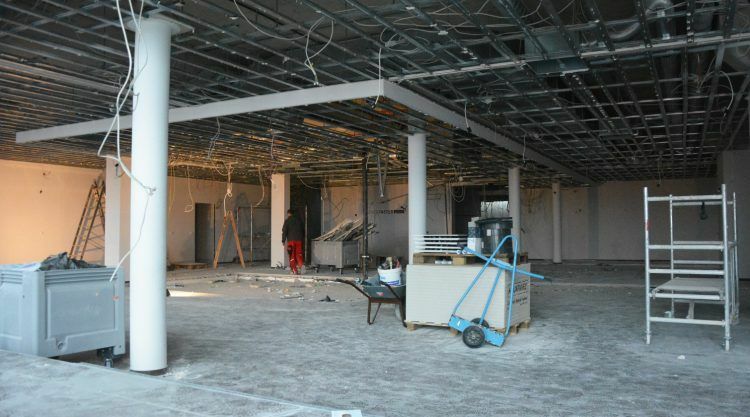 To achieve that, there is more to the reconstruction than just tearing down a few walls: the renovation affects the whole Brand Center building, where the canteen is located. 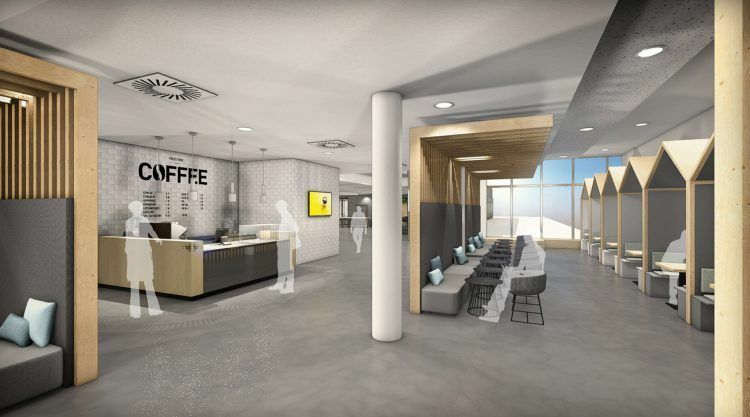 Without reducing the number of seats, the canteen’s serving area and kitchen will double in size and new wiring and plumbing has to be installed. This also affects a showroom located below the kitchen area, as the new pipes from the kitchen have to be connected to the water mains and drainage on the ground floor. In the showroom, the ceiling has to be removed and new holes for the pipes have to be bored. 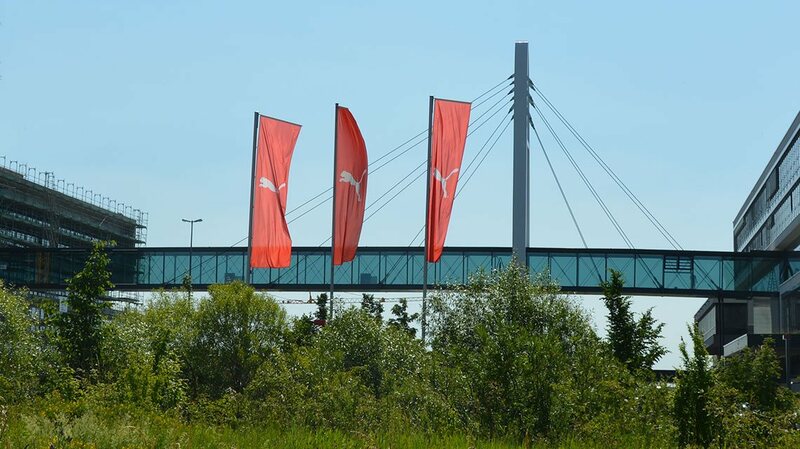 The timeframe available for the renovation works is limited because PUMA’s day-to-day business continues. 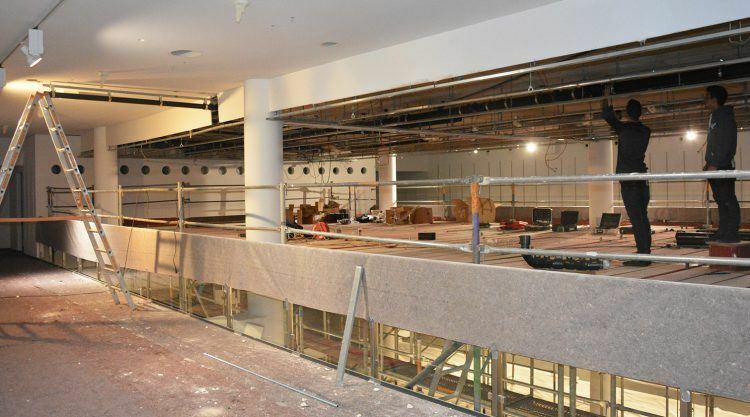 The renovation works could only take place at a time when there were no appointments with customers that are usually held in the showrooms. But enlarging the service and kitchen areas and laying new pipes is not the only change. Once the hard work is done, the canteen gets a new look. We want to create a new sense of space that has a feel-good-character. The canteen is supposed to also function as an area our employees can use for several different purposes. 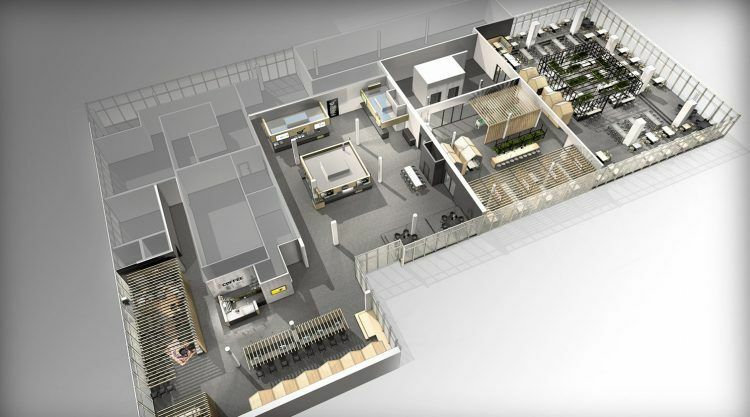 "Zoning" is what will give the canteen a feel-good-character and a new sense of space. In the serving area, there will be four different counters, each offering different kinds of food creating a little “indoor market”. 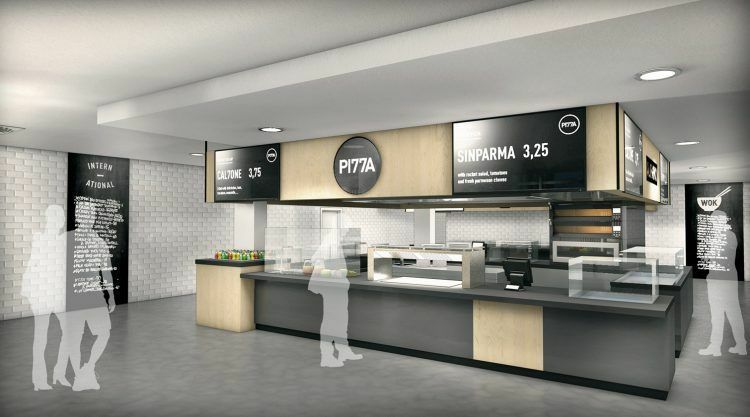 The four food courts comprise a bakery counter, a self-service “fresh and green counter”, a grill and wok counter and a “popular counter”, that offers pasta and a choice of daily specials. While the canteen’s concept is settled, the design of the interior might still change and can look different than on the pictures. "You can't be a Fan"
What is it like to look after PUMA's football stars? We are aiming high, of course!